The new season of summer brings a whole new batch of anime for our viewing pleasure. Being the insane madman that I am, I decided to watch literally more than half of the season's new series. Seriously, out of the roughly 36 full series this summer, I have seen 20 of them, so I have my brief thoughts on those 20, along with what series will be worthwhile to continue watching and which ones to skip. For each series, I will have my short thoughts, my overall rating, and the plot summary from Anichart.net, which is my preferred place to keep track of what series are airing. First a quick preface of the anime that I typically enjoy: In general, I am open to most genres of anime from the dark psychological thrillers, to the action adventure, and even moe slice-of-life comedies. Basically, if the characters are interesting or fun and the show is entertaining, I will watch just about anything. My impressions of the series are usually based on the first two or three episodes of the series. Also, they are listed in alphabetical order. If there is a series that you want me to review in the next part of my overview please comment below and let me know. Akame ga Kill! is my pick for the best action anime of the season. After a seemingly generic first half of an episode, the second half had some surprising dark moments. The next episodes continued with an interesting premise of assassins in a fantasy world. Even though the series has not done anything particularly exceptional yet, the animation and action scenes are great fun, and it is darker and more violent than most other shounen series like Magi. Thus far, Akame ga Kill! provides enough fun action and entertainment to satisfy my action crave every week. Also, if you want to be surprised by the first episode, do not read the plot summary, and note that the series does contain standard shounen fanservice. Plot Summary: "Tatsumi is a fighter who just got robbed by a pretty girl, but his luck seems to be looking up, as another pretty girl has taken him in. 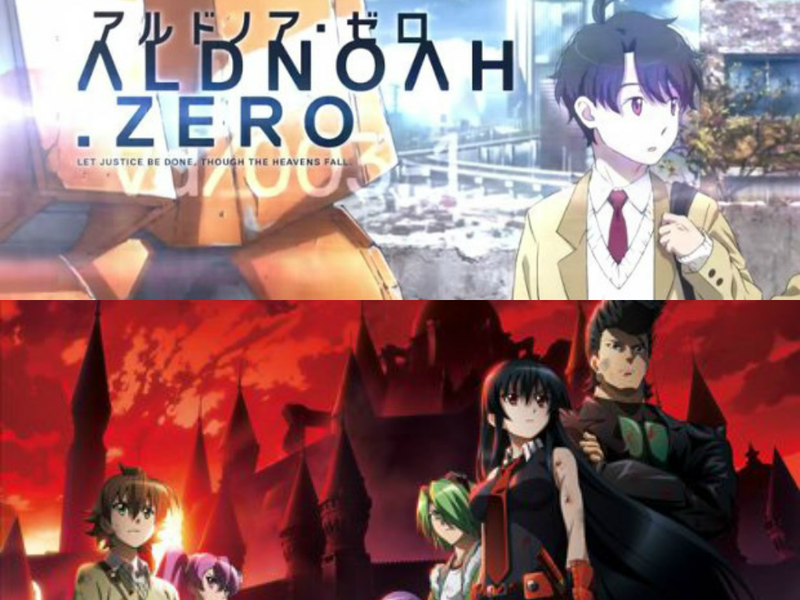 What he doesn't know is that this girl is about to be visited by a family of assassins (including the girl who robbed him) and they might be the good guys, and be recruiting..."
Out of all the series this summer, Aldnoah.Zero has the most potential, and here are three reasons why: Gen Urobuchi (Fate/Zero, Psycho-Pass, Madoka Magica), Ei Aoki (Fate/Zero, Kara no Kyoukai, Ga-Rei Zero), and Hiroyuki Sawano (Attack on Titan, Kill la Kill). Gen Urobuchi is currently the best anime writer in the business today, and anything with his name attached is something that I will watch until the end. As for Aldnoah.Zero itself, the first three show a lot of potential, although they have yet to blow me away. However, Urobuchi’s series are known for often featuring a slower pace in the opening few episodes, so believe it will hopefully deliver by the end. Aldnoah.Zero’s concept of an entirely different human civilianization developing on Mars after a large portion of humanity migrated to the planet is interesting. After an event in the first episode, the highly advanced Martian colonists attack Earth with the series focusing on a group of mecha trainees. Thus far, the characters are not particularly fleshed out yet, but I believe the first three episodes have done a sufficient amount of world building for future episodes to focus on the characters and plot. A-1 Pictures’ animation is superb, even if the CGI mecha standout against the brilliant 2D animation. Hiroyuki Sawano’s score stands out brilliantly with many tracks reminding me of his work on Attack on Titan and Kill la Kill. Even though Aldnoah.Zero is not the best series of the season just yet, it certainly has the potential, and I believe it to be a must-watch for fans of the creative team’s previous work. Plot Summary: "In 1972, a hypergate was discovered on the surface of the moon, and humanity began migrating to Mars and settling there. However, eventually the seeds of war were sown." From Studio Deen comes one of the dullest and dumbest series of the summer with Bakumatsu Rock. While the idea of rock-n-roll Edo era samurai sounds like a possibly fun idea, I was nearly bored to the point of not even finishing the first episode. Seriously, there are few redeeming qualities, except for, what I assume, might be eye-candy for the ladies with the bishounen characters. Do yourself a favor and skip this entirely. Plot Summary: "The story is set in the Bakumatsu era, at the end of the shoguns' rule over Japan in the middle of the 19th century. The Tokugawa shogunate uses the brainwashing Heaven's Songs by the top idols in Shinsengumi to subjugate the country and its people. In this Japan, writing or singing any songs besides the Heaven's Songs is a capital offense. Sakamoto Ryouma and the other rockers rise up and change the world with rock 'n' roll for freedom and justice." What interested me about the series, which I will refer to as "Locodol" for short, is that the genre listed on Anichart was Seinen, which refers to the 18+ male demographic, and while I have yet to see what exactly makes it Seinen, the series is surprisingly fun. The first episode did a decent job of setting up the cute moe female leads, but it is the second episode that sold me on the series with some character development through the two girls’ friendship. 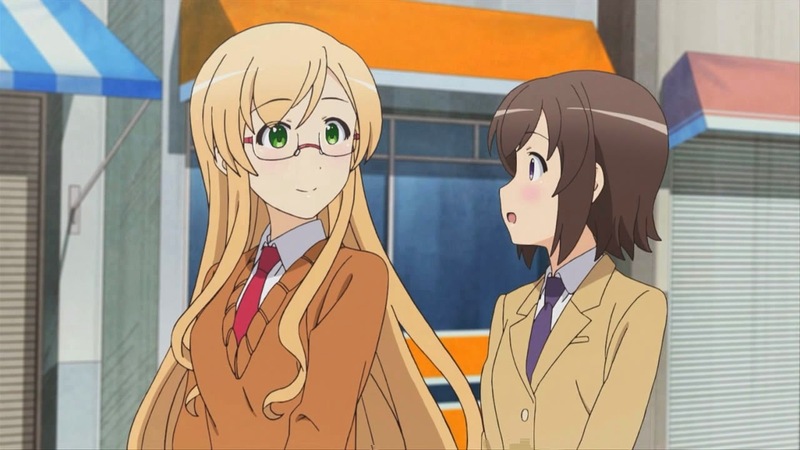 Even though Locodol seems to be nothing particularly special thus far, it is a fun, and usually funny, slice-of-life comedy with appealing animation from Studio Feel. Plot Summary: "The story is about the life of a high school girl, Nanako, and her senpai, Yukari, who end up becoming the town’s local idols (locodol) upon the request of her uncle. However they would soon learn that their new idol lifestyle is less than stellar as they are only be interviewed by the town’s shopping center, appear on low-budget cable television, and perform concerts on top of the roof of department stores. The girls’ salaries come from the town’s taxes." Please check back next week for the continuation of my overview.